“It’s impossible to pick one solitary cocktail as my favourite: it’s like picking a favourite child. However, one of my all-time favourites, and one that I always order when I sit at a bar for the first time, is the margarita. It’s my bartender litmus test because, in my opinion, it’s the cocktail that’s easiest to make poorly and it’s the most difficult to make well because its genius lies within a delicate balance that is often taken for granted. “It has been misrepresented and bastardized for decades: in blenders with corn syrup sweeteners and tropical juices; in all-inclusive resorts and backyard house parties; and subsequently quality, traditional margaritas (with tequila, orange liqueur/curaçao and fresh lime juice) remain scarce. “Recently I’ve been enjoying working with sherry and amaro. They’re both great because they are full of flavour and vary depending on which producers they come from. Also, their low alcohol volume allows a lot of play without making the cocktail too ‘hot’ and unpalatable. 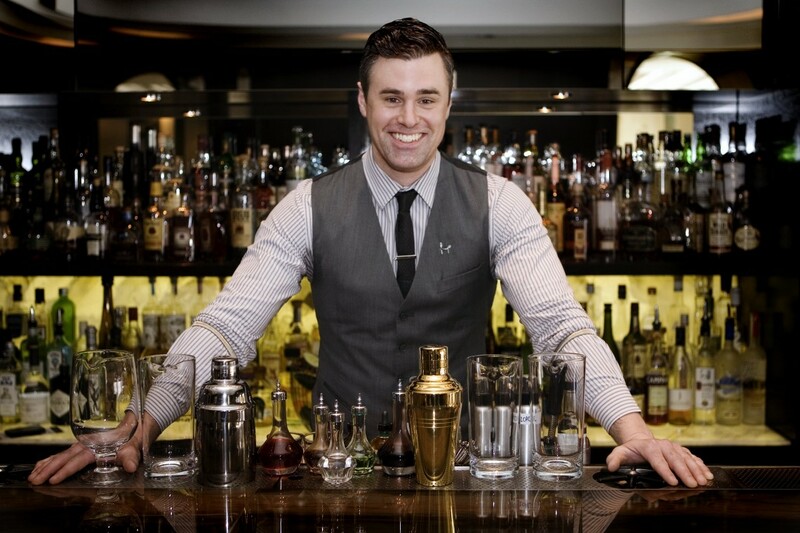 “As for trends, I believe we as bartenders have (hopefully) moved passed/above corny trends and are now more focused on educating ourselves on quality spirit production and their role in crafting well-balanced cocktails.